After launching the Zenfone 3 series, Asus has now launched the Asus Zenfone 3 Max and the Asus Zenfone 3 Laser. 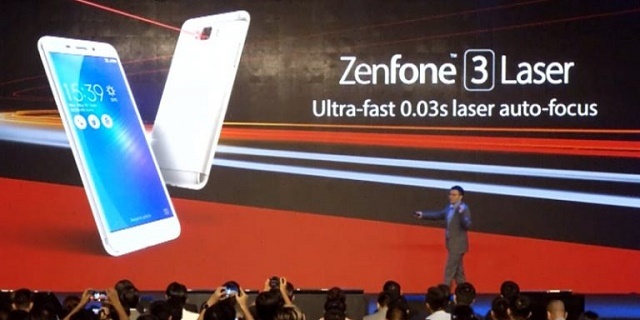 Asus has announced the launch of the Asus Zenfone 3 Max and the Asus Zenfone 3 Laser, which are the company’s latest addition to the Zenfone 3 series. The Zenfone 3 Max has a 5.2 inch HD display and is powered by a quad core MediaTek processor. The Zenfone 3 Laser has a bigger 5.5 inch full HD display and is powered by the octa core Snapdragon 430 processor. The Asus Zenfone 3 Max and the Asus Zenfone 3 Laser have a 13 MP rear facing camera. Both the smartphones run on the Android Marshmallow version. Both the device flaunt a metal body with a fingerprint scanner on the back. Global rollout details would be revealed soon.